Prime Minister responds to question about Eshott dispute. The All-Party Parliamentary Group on General Aviation promotes the objective – as set out by British Government – of making the United Kingdom the best country in the world for General Aviation, and to stimulate interest in the sector. Our goal is to ensure that General Aviation inspires both current and future generations to take up science, technology, engineering and mathematics, thereby creating high-tech jobs and growth in all nations and regions of our economy. In order to achieve this objective, the All-Party Parliamentary Group believes that a network of General Aviation airfields must be protected and enhanced by the government. The All-Party Parliamentary Group (APPG) on General Aviation believes that, over a period of decades, successive governments have failed to fully appreciate the critical role that General Aviation plays in promoting UK plc. Commercial, industrial and military aviation has a strong interest in keeping a thriving General Aviation sector alive. Many organisations have already approached this APPG to offer their support. Put simply, the importance of General Aviation to boosting scientific, technological, engineering and mathematical (STEM) skills in the wider economy cannot be overestimated. Yet no aviation sector can exist without a network of airfields, and virtually every airfield was a product of wartime Britain. When they are closed and built on, they are never replaced. Therefore, without a shift in government policy the UK will, by default, exit both General Aviation and overall aviation as a critical sector of our economy within a generation. We are delighted that industry more broadly is supporting the aims of this important APPG on General Aviation and we are proud to display their support here. Craig Kreeger – Former Chief Executive, Virgin Atlantic. Hayward Aviation is a specialist general aviation insurance broker, providing expert insurance advice to clients in almost every sector of general aviation. Formed in 1992 to specifically meet the needs of the general aviation, private jet and helicopter sector, they employ over 60 staff solely focussed on this niche insurance sector. They count over 30% of all UK G-reg light aircraft as our clients, along with 80%+ of the on-shore UK helicopter fleet, Business Jet operations, Air Ambulances, regional and general airports and many associated service companies. 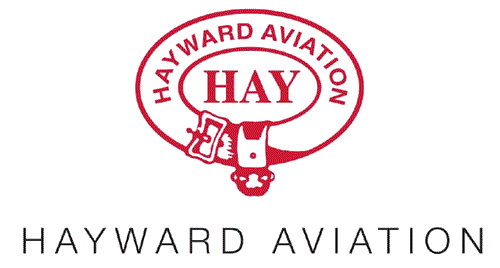 Hayward Aviation actively support the aviation industry through our membership of EBAA, NBAA, BGAD, British Helicopter Association, AOPA (UK), The General Aviation Safety Council and many other organisations. Heathrow plays a crucial role connecting London and the UK to the world. Our vision is to give passengers the best airport service in the world – we will achieve this by making every journey better. Achieving Heathrow’s vision relies on managing the airport responsibly. A responsible approach is key to how we do business and underpins everything we do. Responsible Heathrow 2020 is our commitment to maximise the positive economic and social impacts of our business, whilst carefully managing our environmental responsibilities. It underpins and informs all four priorities for the business. London Luton Airport (LLA) is one of the UK’s largest airports and carried 15.8 million passengers in 2017, an increase of 8.6% on 2016. The airport indirectly employs over 9,400 staff and is a key economic driver for the region. It is the UK’s busiest airport for General Aviation, the third busiest in Europe and 7th busiest in the world. easyJet, Wizz Air, Ryanair, Thomas Cook Airlines, Tui, EL AL, Blue Air, TAROM, SunExpress, Iberia (Air Nostrum) and Vueling currently operate from the airport. The airport’s route network serves more than 140 destinations including services to Europe, Africa, and Asia. The airport is operated and developed by a consortium of which the majority shareholder is AENA, the world’s largest airport operator, and Ardian, a major European investor. LLA is currently investing over £150million to transform the airport and increase capacity to 18 million passengers per year by 2020. The world’s largest aerospace and defence business, Boeing has been present in the UK for 80 years and is growing rapidly here. Since 2011, Boeing’s UK supply chain spend has trebled to £2.1 billion and the company’s direct UK employment has doubled. Boeing now supports 18,700 UK jobs (2,200 direct employees and 16,500 in its Tier One suppliers). In 2017 Boeing broke ground on its first European manufacturing facility in Sheffield; gained planning permission for a new civil aircraft maintenance facility at Gatwick Airport and began the expansion of its Crawley pilot training facility which will be the largest such facility outside of the US. Boeing businesses in the United Kingdom cover a wide range of activity covering: digital aviation, managing airlines’ maintenance activity, pilot training, aircraft interior design engineering, defence and security services and manufacturing. Operating London Southend and Carlisle Lake District Airports, as well an executive Jet Centre and an airline, Stobart Aviation recognises the breadth of the contribution made by general aviation to the UK civil aviation industry. Like others in our sector, we depend for our continued growth on a combination of skilled, passionate, entrepreneurial people, and the innovative technologies, which have historically emerged from general aviation. Addressing the paradox of congested larger London airports and the closure of smaller airfields requires the same mix of innovation, determination and imagination. It is for these reasons that we are proud to support the work of the General Aviation APPG. CargoLogicAir is the United Kingdom’s only maindeck all-cargo airline. Headquartered close to London Heathrow Airport and with its main operating base at London Stansted, CargoLogicAir connects British companies with prime export markets in Europe, North America, the Middle East and Asia Pacific. It also supports international businesses importing goods to the UK to supply British companies and consumers. CargoLogicAir’s growing fleet of modern Boeing 747 freighters includes the latest 747-8F with its increased payload of 139 tonnes for scheduled and charter operations, supporting customers in industry sectors including aerospace, pharmaceuticals, oil & gas, perishables, automotive as well as those responsible for off-size and humanitarian cargoes. RiverOak Strategic Partners are working towards reopening Manston Airport (Kent). With a plan to turn Manston into a vibrant hub for international airfreight – one which delivers economic prosperity and employment across Kent and protects a strategic aviation resource for the nation. With the air freight market ripe for an alternative to the overcrowded London airports system. RiverOak believe that Manston’s accessibility, long runway and community support represent the strongest option available to Government to increase runway capacity in the south east for air freight. MAG is a leading UK airport group and owns and operates three UK airports – Manchester, London Stansted and East Midlands. The Group sees over 60 million passengers flying through its airports every year, which together employ over 40,000 people on site. EasyJet, is one of the largest airlines in Europe. Founded in 1995 by Sir Stelios Haji-Ioannou EasyJet flyies to 104 destinations in Europe and North Africa. EasyJet is based at London’s Luton Airport and has its largest base at London Gatwick.